In case you didn’t know, Feb. 23, is the kick off for the 9th annual America Saves Week. 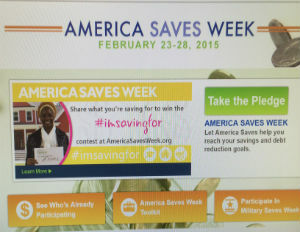 America Saves Week is part of a national campaign run by the Consumer Federation of America.Â More than 1,000 non-profit, corporate, and government groups have joined forces to encourage individuals and families to save money and build personal wealth. The latest numbers from the Commerce Department illuminate what we already know: Â Americans need help when it comes to saving.Â Â The personal savings rate is just 4.9%Â of income —not nearly enough to create financial security through emergency and retirement savings. Our day to day economic challenges make it easy to stay focused on the ‘numbers’ aspect of our finances without thinking about changes we need to make in our behavior so that the numbers add up differently. As we discussed in Part 1:Â Setting Financial Goals:Â Where to Begin, one of the most important aspects in coming up with any kind of successful financial plan is to be clear on what your planning for — goal setting. 1. Â Imagine that you have all the money you will ever need.Â Maybe not Oprah rich, but money will never be a concern.Â If money is not a problem, what will you do with your life?Â What will you do with your time? 2.Â You go to the doctor and you find out you have 5 to 10 years left to live.Â Knowing that death is coming sooner than you expect, how will change your life? 3.Â In the third and final scenario, you find out you are going to pass away tomorrow.Â Don’t think about what you will do on your last day on Earth, but think about your regrets?Â What do you wish you had done in this precious life that’s about to end? M: Measurable:Â If you want $5,000 in an emergency fund by February, you know you should be at the $2,500 mark by August. A: Attainable:Â Maybe $5,000 in emergency savings by February is not possible.Â Be sure to come up with a goal and a plan that you can achieve.Â You’ll gain confidence and be even more motivated the next time you plan for something. R: Relatable:Â Be sure that you can clearly state your goal and tell it to someone you trust.Â Having a friend or loved one hold you accountable greatly increases your chance of achieving a goal.Â Think of someone now and ask them to help you on your journey, even if you have to get back to them with the details. T: Timely:Â If you’re helping your child pay for college this year, it may not be a good time to set a goal to go on an elaborate vacation. 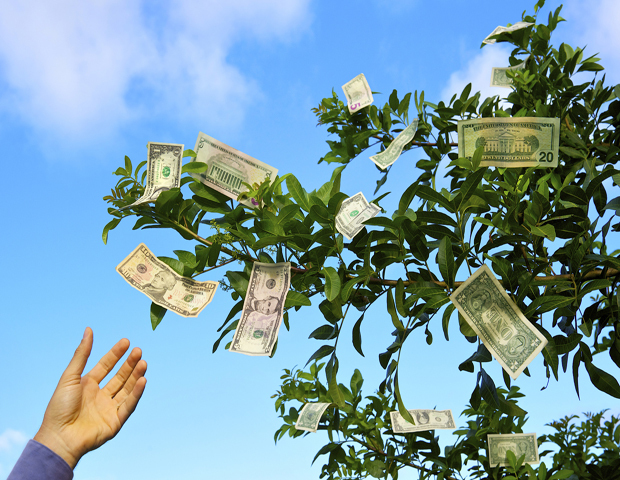 Also, be sure to designate a special account for your savings goals if you don’t already have one. There are websites like smartypig.comthat allow you to save for goals in an FDIC insured account that pays a higher rate of interest than most traditional banks would for a savings account.Â You can also get rewards and invite friends and family to contribute to your goals.